Anchorage is uniquely placed between the mountains of Chugach State Park, the nation’s largest state park, and the waters of the Cook Inlet, providing ample opportunity to explore nature’s marvels. The city offers spectacular views of surrounding mountains along with some of Alaska’s favorite summertime activities, including backpacking, biking, hiking trails and fishing. As the largest city in Alaska, you also have the opportunity to sit back, relax, and enjoy city comforts. Grab a latte at a local coffee shop and stroll around the shops, or come explore Alaska’s native culture at an art gallery or museum. The modern skyscrapers of downtown combined with a wonderful park and trail system give Anchorage a unique culture of urban living with Alaska’s pioneer spirit. Of course, like most of Alaska, it’s not surprising to find wildlife within the city limits. Imagine eating a five-star dinner and watching a moose wander past the window. Only in Alaska! Anchorage is modern Alaska, full of all of the luxuries a world-class city has to offer. The Anchorage Westmark Inn is steps away from local markets and parks. Take in a show or visit the zoo. There’s also plenty for those who enjoy the outdoors. The Chugach Mountains offer excellent hiking trails, and the Cook Inlet is host to many ideal fishing spots. See our current jobs at Anchorage’s Westmark Inn and apply today! Anchorage is a major port, providing the perfect base for all your Alaska travels. With a rich history, deep culture and breathtaking backdrop, Anchorage is a wonderful place to work and live. As a bustling metropolis surrounded by pristine wilderness, the city has something to offer rain or shine. Come join our Transportation division and help provide an unforgettable experience as our guests travel through Alaska. We love looking through the domed windows of our trains and say that this is our office. The chance to work onboard a train in Alaska is definitely a unique one and an experience that you’ll never forget. If you have a truly adventurous spirit, try stepping aboard our Gray Line train where you’ll find yourself in Anchorage in the morning and Fairbanks by evening. If you prefer to stay in the city, our ground-based jobs are a critical part of our operations. We have day and night positions in Anchorage, Fairbanks and Seward as well! If you want a diverse, fast-paced, high energy work environment, we have job opportunities that won’t just meet your expectations, they’ll surpass them. 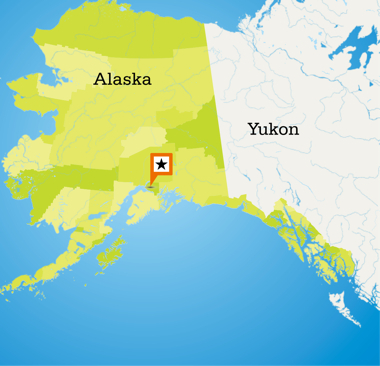 Although our adventures expand across Alaska and the Yukon, your home base will be located in Anchorage. Our operations include Tour Directors whom actively travel with our guests, the Administrative Support Team, supporting our logistics and payroll duties, our onboard Specialists who provides land tour programs on our northbound sailing gulf cruises, and Supervisory positions that assist from various locations supporting employees in the field. Escorted Tour Operations has the privilege of traveling all over Alaska and Yukon Territory, Canada. Share your sense of adventure, awe, and knowledge of the surrounding area with guests as you provide an unforgettable escorted group tour experience.